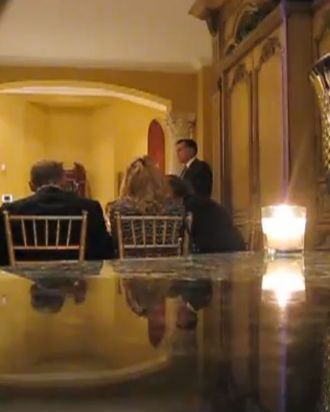 The person who recorded Mitt Romney’s politically crippling “47 percent” remark at a fund-raiser last spring plans to reveal himself on Ed Schultz’s show Wednesday night. “I felt like I owed it to the people that couldn’t afford to be there themselves to hear what he really thought,” he tells Schultz in the teaser. We know it’s a guy, from that bit of video, but we’ll have to wait until tomorrow to find out if the previous speculation that it was the bartender proves correct.